The BBDO worldwide chief executive has long seemed destined for even greater things, Claire Beale writes. Yet, after ten years at the helm, Andrew Robertson still sounds like a man consumed by the job at hand. If you’d told me ten years ago that I’d be sitting here a decade later interviewing Andrew Robertson, worldwide chief executive of BBDO, I would have laughed. Because, ten years ago, when Robertson had just snatched the global mantle, it seemed highly likely that he’d be running the whole Omnicom shebang sooner rather than later. Ten years in the same role was surely not his game plan. He’s a hungry man. Sure, he says he’s happy to still be here, but he can’t say it straight: "Of course I hoped I’d still be running BBDO after ten years… I hoped I wouldn’t get found out." Ha. Mind you, in ten years, everything has changed. Advertising has packed more developmental challenges into the past decade than into its entire pre-digital history. Time has probably flown by. It’s true that the metrics with which Robertson has always been obsessed remain his benchmark – "Our goal is to win The Gunn Report, Network of the Year at Cannes and the Warc Effie Index every year" – and his track record against them is pretty damn good. But how his agency gets there has changed beyond all reckoning from those initial business plans he drew up back in the beginning. "In 2004 when I took over, we had a worldwide meeting in LA and we devoted a lot of our time to talking about MySpace. While we were doing that, literally, Mark Zuckerberg was in a dorm in Harvard creating Facebook. So I’m very wary of the specifics of what is going to happen, though I’m very clear on the principles. We’ve always focused on the work, the work, the work and the work working." He says, ten years ago, the mission was to transform BBDO away from being perceived as a TV-dominated agency, while making it a truly powerful global network for global clients: "I was lucky enough to inherit from Bruce Crawford and Allen Rosenshine a very strong group of agencies, but we hadn’t yet really turned it into a powerful, powerful network for global clients. You don’t actually get to do revolutions in business – not our business – because that tends to be a very fast way to end up with no business at all. You have to constantly evolve. You have to make progress every day." Progress certainly hasn’t always been in a smooth upward curve. Robertson reckons that one of the lowest points of the past ten years was losing the $1 billion Chrysler account – "though I don’t think we could have done anything about that because Chrysler came out of bankruptcy and was bought by Fiat. That was a really, really tough time." And "losing Gillette [after more than 80 years] was tough. But, in both cases, what you do is dust yourself down, get back on your horse and go and win some new business." His biggest triumphs on this score have been landing global clients such as ExxonMobil, Johnson & Johnson, HP, SC Johnson, Mercedes-Benz and SAP. Then there was the sweetness of winning back Visa and Snickers. But for all the highs and lows of tectonic business moves, "the toughest thing overall is how you have to keep pumping away at it all, job by job, client by client, day by day. You can sometimes feel like you haven’t made much progress because you can see the things that haven’t changed rather than the things that have." Of course, all this pumping away has been done against the backdrop of global recession, which saw marketing budgets stripped back and staff culled. Ten years ago, BBDO was recorded as having 345 offices in 76 countries and employing anything between 17,000 and 20,500 people, depending on who you read (BBDO won’t say). Now it’s down to 289 offices, though in 81 countries, and 15,000 employees worldwide. 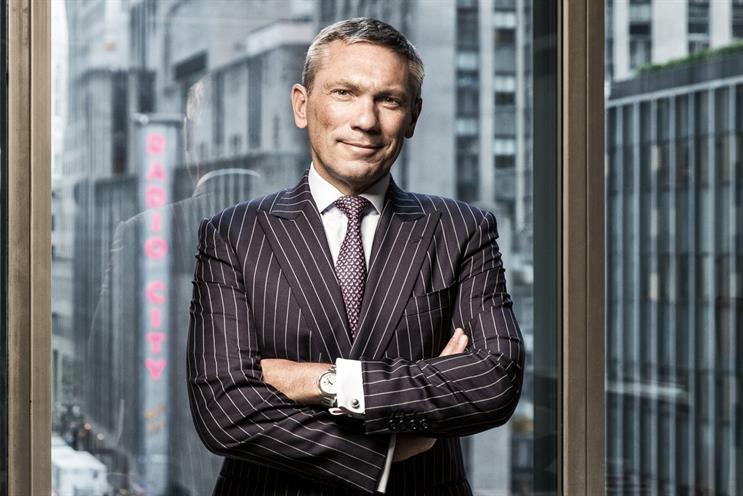 Despite the contraction, top-line revenue growth (admittedly an impure measure of Robertson’s success given the changing shape of the BBDO family) is up a robust 55 per cent from $1.588 billion to $2.456 billion over his decade-long tenure. Anyway, enough of looking back. It’s looking forward where the money is now. Where’s BBDO going in the next ten years? "There’s always a new bright, shiny thing that’s supposed to change our world forever, but most things don’t have the scale or permanence to really change things. When things stop being just interesting and become important, then you’ve got to be able to move fast, and we’ve worked hard to train that sort of agility into our system and focus everything on what’s happening for consumers, not what’s happening at conferences. "In the next ten years, all our screens will be wireless, all connected to each other and to some of the other devices in our lives. These screens are going to be dumb, with nothing stored on them, and we’re all going to be able to draw whatever content we want, whenever, from wherever we want." So far, so well-rehearsed by any cultural pundit worth his seminar fee. What does it all mean for marketing? "There are four buckets of real leverage in communications, all of which are going to be affected by these changes," Robertson says. "The first is targeting, and the leverage in targeting depends on what brand you are, but obviously it’s going to be possible for us to target ever-more tightly as a result of these changes. Then there’s context – getting to those people at the right time, when they’re in the right frame of mind. The third bucket is the message itself, and we’re going to have much better data to help inform that. And the fourth bucket is creativity, where the leverage is going to increase." Robertson’s on a roll now and I’m guessing he’s not making this up as he goes along. It has the air of well-polished didactic. "All of that is going to happen in real time; we’re going to be optimising it by the minute," he says. "Most of the content, in my view, is going to be video, and most of that is going to be shortening: some of it will be two-and-a-half minutes, but there’s going to be a need for an awful lot more that’s ten seconds or less – byte-size video, I call it. "We’ll do a lot more experimenting and a lot less testing, because we can. But there isn’t going to be any more money. So we’re going to have to figure out how we produce all this video with the same amount of money. It will take different ways of working and different core skills – the hybrid writer/director/producer/editor who does everything. 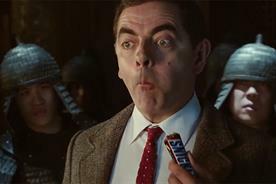 This is how most of this advertising – and I call it advertising because it has a commercial intent – is going to be produced." Good news for the creative team who now only get a new campaign out every 18 months, if they’re lucky. "I think it’s going to be great because we’re going to be doing so much more work. When people work on huge accounts, they forget how great it is to produce lots of work," Robertson says. "We have people who work on big brands and, every two years, they get to produce something. If every single day you’re making something, that’s a great way to live, and I think that’s just going to increase and be true for most brands." Perhaps my eyebrows rise a little at this, because Robertson quickly admits: "The thing is, there’s no point in just more noise. The world does not need more content. There are 60 million photos a day being loaded on Instagram. There are 1,700 years of video on YouTube. We don’t need content, we need work that is going to work. So you still have to put the effort into crafting it and finding something that people are going to find really compelling. I remember having this conversation with Ben Sil­verman, who created Friday Night Lights – a really great series about high-school football in Texas. It was a great show, but they couldn’t make it work for them because of the cost of production. They saved the show by bringing the camera in – no more long shots, big set-ups – and put the emphasis on the writing and the acting, not the scale of it. And the show got better and the ratings increased." And is the advertising model in good shape to answer all these new needs, this ferocious demand for more work? Well, yes… and no. Robertson says: "We’re going to need really, really brilliant planning that can articulate really crisp strategies from which we can generate very single-minded ideas. If you can’t put your idea in a Tweet, you haven’t got one. Because, once you get to the point where you’re making stuff, if you don’t have that clarity of what the brand idea is, you’ll end up putting another rock on a pile of rubble rather than another brick in a brand wall. At the other end, there’s going to be a premium on those people who can write, direct, edit and produce their own stuff. Then we’ll need the analytics and the smarts to really understand our audience in real time." At BBDO, the foundations are among the strongest in the business. But really getting to where Robertson thinks we’re all headed is going to take a lot more work yet. In 2004, in his first Campaign interview in the job, he reckoned he’d got a 20-year task ahead of him (notwithstanding that barely concealed ambition for career progression). "It’s a 20-year job," he’d said. "The best agencies, if you look back over history, have been run for 20 years or more by somebody." Hmm, well Robertson’s halfway through, then. Except he won’t settle for another ten years, will he? A year ago, Robertson’s way to the top was far from clear, with the proposed Publicis/Omnicom merger promising an over-abundance of senior talent hungry for the top jobs. Now the deal’s dead, the game’s back on. If Campaign is interviewing Robertson in 2024 to mark his 20th anniversary, at least one of us won’t be laughing.